So far we've talked about the different categories of mobile devices and what some of the marketing options are for each category. The question in this post is how do you know which group(s) you want to target? Let's look at some data to get a better idea of which categories you should focus on. Because all we can do is call these folks, let's leave them out completely. 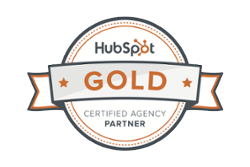 Cold calling works great in some businesses, but as a firm we try to focus on inbound marketing methods as opposed to interruption marketing. Which Mobile Category Has The Most Users? As of this writing, Nielsen estimates that 21% of subscribers have smartphones, which is roughly 60 million users. By the end of 2011, they are estimating that roughly 143 million users will have smartphones. What an increase a year can make! That is, if Nielsen's projections are correct. If you take into consideration the fact that Verizon just announced that many of their feature phones will now REQUIRE a data plan, the reason to choose a feature phone diminishes. 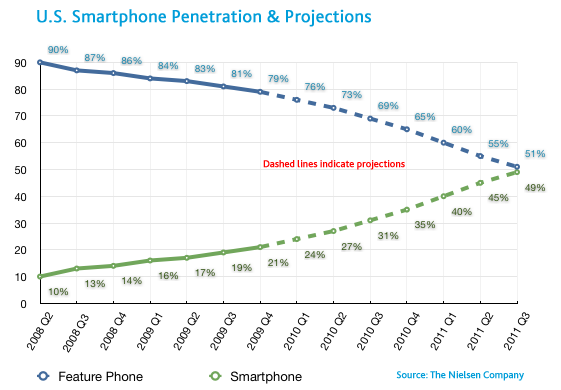 That really supports the growth numbers Nielsen is projecting with smartphone growth. You may as well purchase a much more sophisticated device if you have to have a data plan. According to CTIA (The Wireless Association), as of this writing there are nearly 2 Trillion text messages sent per year. If you take that number compare to the roughly 292.8 million wireless subscribers in the US as of June of 2010, you find that on average, a mobile phone carrier sends 6800 text messages a year. That means people are receiving that many as well! Do you think that maybe your marketing message could be part of that growing number? 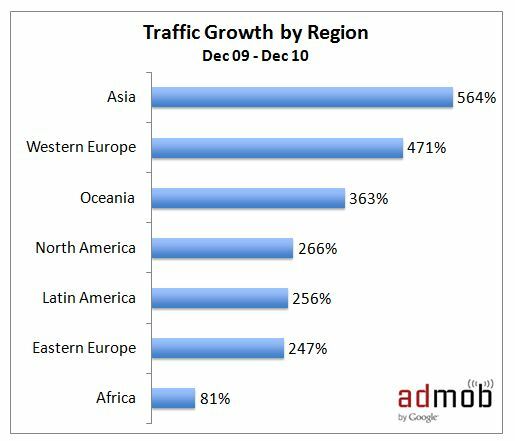 If you take a look at AdMob's recent data you'll see that their ad network (the largest publicly owned - Google) is seeing more than 2 Billion mobile ad impressions per day. That is amazing! These ads are in-app ads and on mobile website-ads. That volume is 4 times what is was the year before. I think it's safe to say that that volume clearly justifies researching mobile ads as an option. According to a comScore release, Facebook and Twitter access via a mobile browser has grown by triple-digits in the past year! Facebook saw a 112% increase and Twitter saw a 347% jump. Again, these are some very significant numbers. There is some very limited data available for tablets as of this writing, but I will save that for another post. Yes, there are a lot of feature phone users. I'm not suggesting that we never consider supporting feature phones. What I am saying is, when all else fails, choose smartphones. 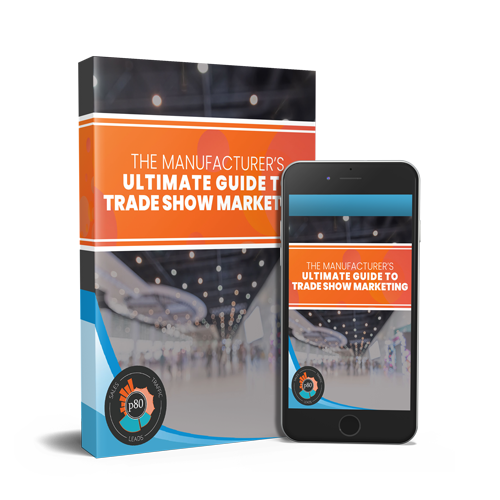 they offer the most opportunities, and many experts suggest that they are the users most likely willing to interact with mobile marketing offers. In the next set of posts I will start looking at some of the mobile marketing options in more detail, so please check back soon! As always, feel free to leave a comment below, or contact us for help with your small business marketing efforts!